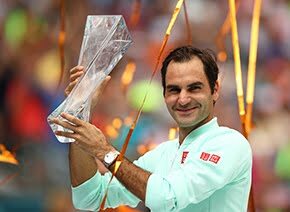 Federer: "A special day, a special couple of weeks"
Roger Federer stayed up all night and witnessed the sunrise over Melbourne following his Australian Open victory on Sunday, before walking into his hotel room with the trophy to the delighted faces of his four children. The Swiss superstar, who had promised to “party like rock stars” after beating Rafael Nadal for his 18th Grand Slam championship crown, arrived bleary eyed and husky-voiced at the champions’ photo shoot at the elegant Carlton Gardens on Monday afternoon. Federer said he felt OK, but he was tired for the traditional championship photo shoot. 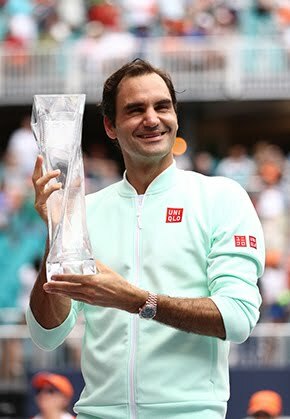 Federer, who had experienced a six-month injury lay-off only to return at the Australian Open, admitted it was especially gratifying as it was his first major trophy since his second set of twins, Leo and Lenny, were born on 6 May 2014. “This is my first Slam win with the boys, they weren't born when I won in 2012, so that's special for Mirka and myself that I was able to do it,” said Federer, who also has girl twins, Myla and Charlene (born 23 July 2009). “The girls were just super excited to see the trophy. They will probably forget one day what happened, but at the same time they were happy that I'm happy. Today, Federer rose seven spots to No. 10 in the ATP Rankings. He had dropped to No. 16 on 7 November 2016, falling out of Top 10 for the first time in 734 weeks (14+ years). “I don’t know how much I slept, but you know I had to look at some highlights again to know how close the match was, and go through the emotions again,” said Federer. “What makes me most happy is when I see my friends and family so happy, my support team, everybody who was there. Federer also said he'd “have a good chance to do well" at the U.S. Open, and is still hoping to add another Australian Open title next year.